New England Patriots quarterback Tom Brady spent some of his free time during his club’s NFL postseason bye week joining Instagram. New England Patriots quarterback Tom Brady spent some of his free time during his club’s National Football League postseason bye week joining Instagram. 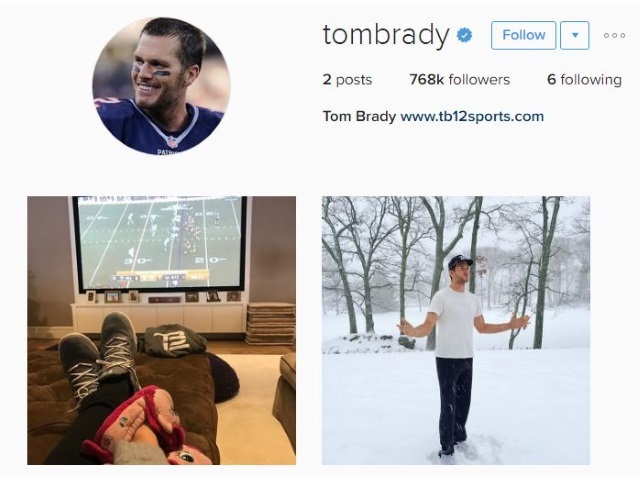 Brady had already collected more than 768,000 followers at the time of this post. Readers: What do you expect to see Brady share on Instagram?